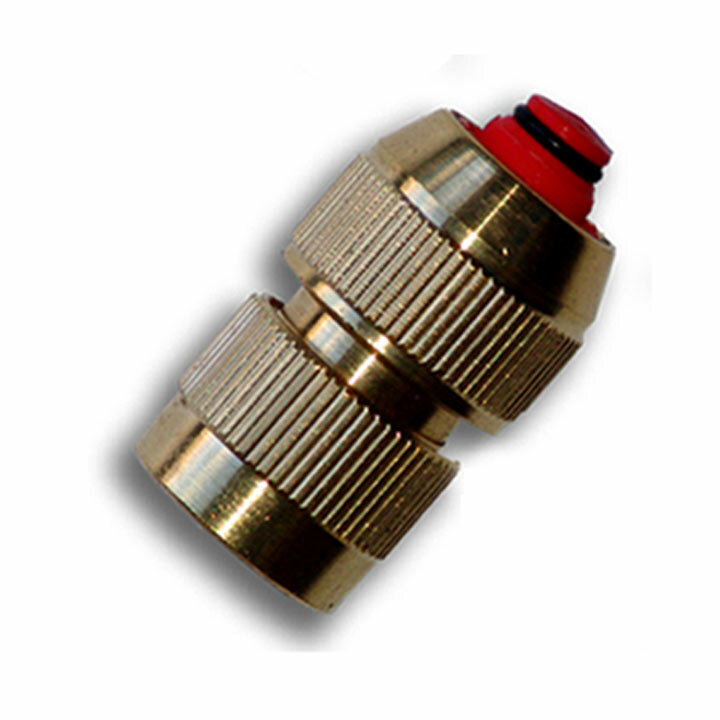 This solid brass quick connector with automatic shut off will last much longer compared to its plastic counterparts! Manufactured from premium brass for durability and aesthetic appeal, it has a quick connect female fixing with a connection to a ½" standard hose. The nylon insert hose clamp ensures a perfect seal every time and it is fully compatible with all recognised plastic and brass snap fit hose fittings.